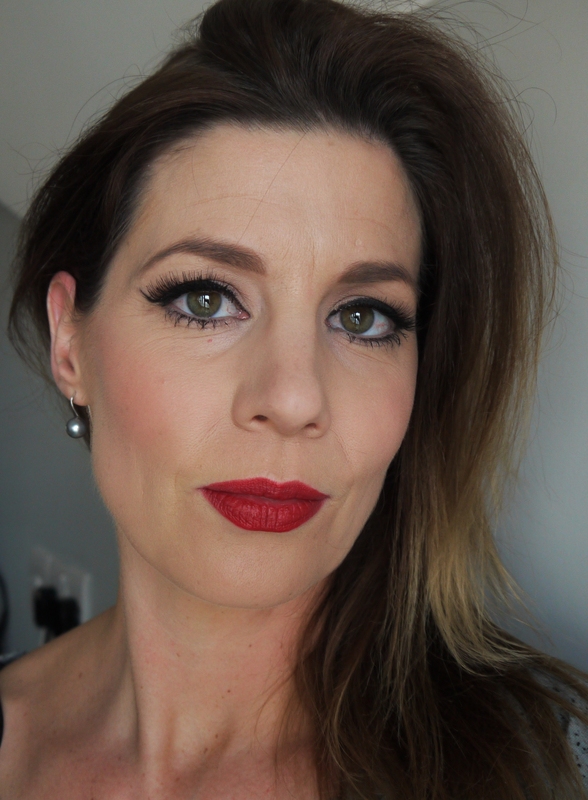 When I meet with brides for their trial and discuss the look they want to achieve for their wedding day, they generally respond with one of two answers; ‘Natural Look’ or a ‘Vintage Look’. For the ‘Vintage Look’ it’s generally because the theme of the day is centred around this, so they will have their make up all tied in with the dress and the hair. 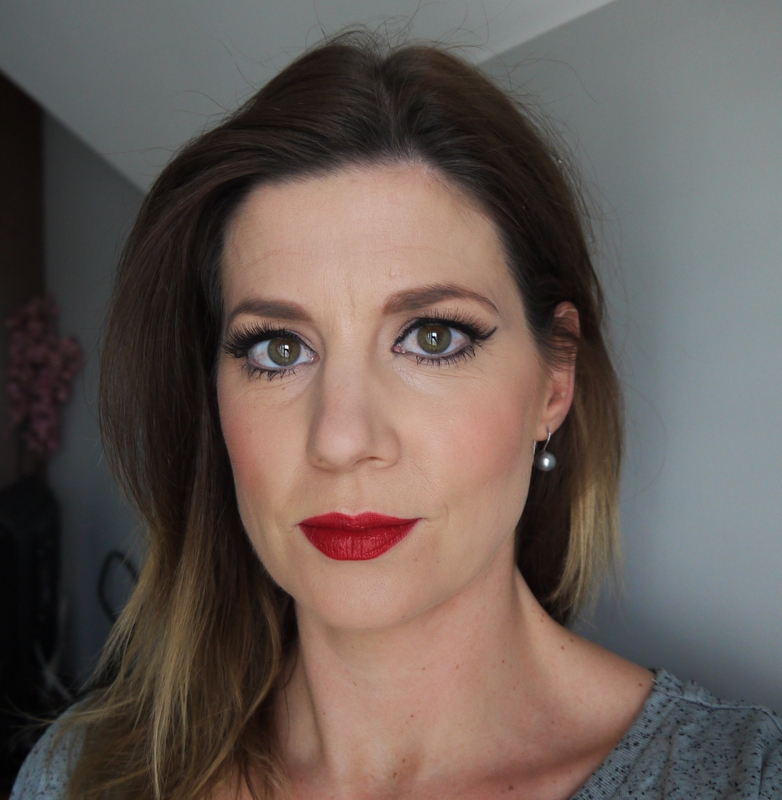 I tend to find that this look is popular with brides that are used to wearing a strong lip on an every day basis and like quite a strong make up look. It’s certainly not something that I would recommend a bride try for the first time on her wedding day. Least of all the groom might be a bit surprised when he turns to watch you walking down the aisle. As with all these looks that I have posted this month, there are lots that you can change. I’ve gone for a strong eye and strong lip, but you can always tone either one of them down to what you are comfortable with. With the lip this can be changed to a tone of red lipstick that suits your skin tone or a completely different shade, such as a plum, or burgundy colour if that’s what you feel more comfortable with. 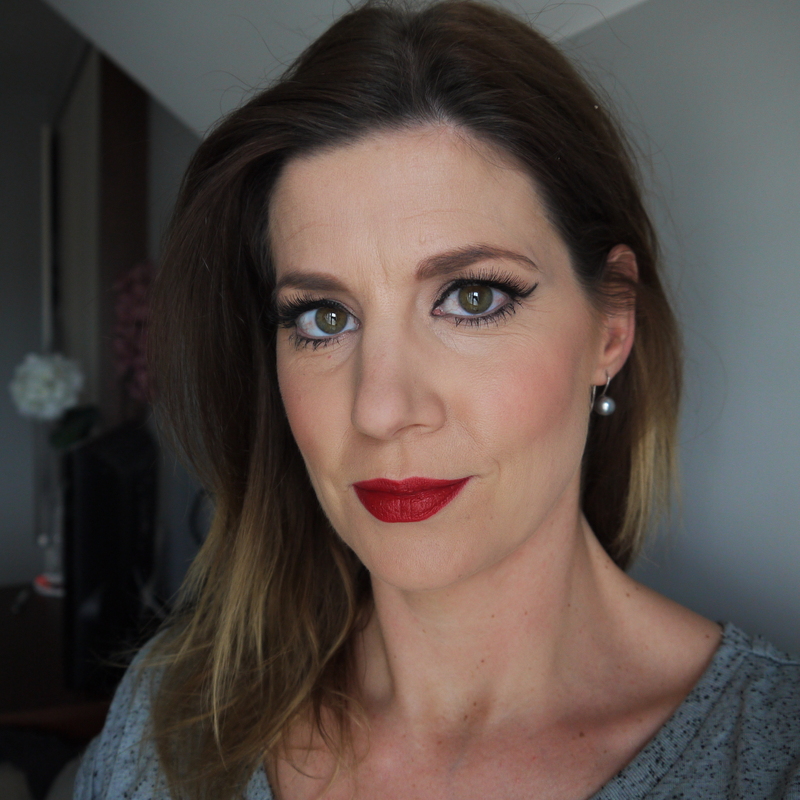 However, if you are going for a strong colour on your lips, do be prepared that this takes a little more up keep than if you were simply wearing a gloss. 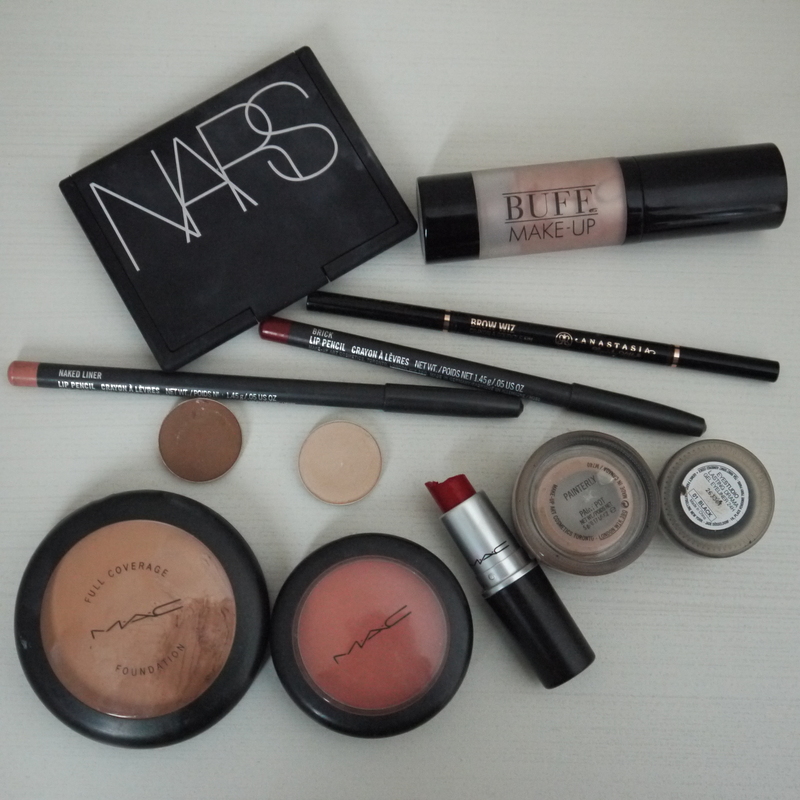 Lipstick – M.A.C Red – apply, then blot with a tissue and re-apply. This will ensure that the lipstick lasts longer. Thanks for reading. Leave a comment below letting me know if you would go for this look on your wedding day.